There are so many things to do on the Isle of Wight with toddlers. We spent a week there in the summer, and still didn’t manage to see and do everything we wanted to do – namely because the weather was so good that we spent a lot of time chilling out on the beach! If you’re thinking about visiting with your family, these are my suggestions on the best days out for toddlers on the Isle of Wight. I don’t know if we were just lucky with the weather, but the Isle of Wight seemed to have its own micro climate and was a lot warmer and sunnier than the rest of the UK. There are some great beaches on the Isle of Wight for toddlers which are perfect for sandcastle making and paddling. We stayed at Whitecliff Bay Holiday Park so spent a lot of time at Whitecliff Bay, where there is a sandy beach with a couple of beach cafes and a little shop. 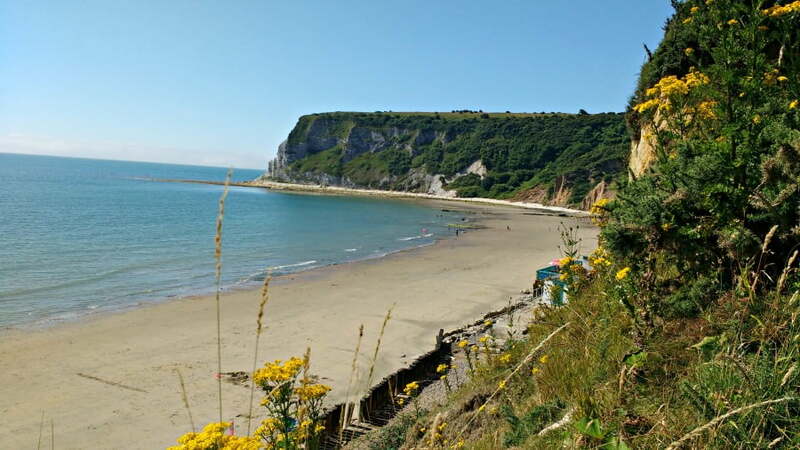 Further down the coast, Shanklin and Sandown have some good beaches as well as Ryde on the northern tip of the island. 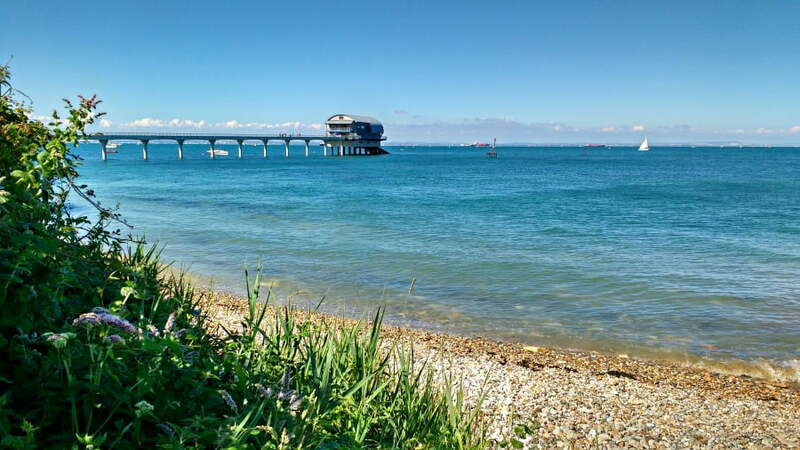 Top Tip – The Isle of Wight is jam packed with beaches so leave your beach stuff in the boot of your car, and then you’ve got them for when you discover a great beach when you are out and about. 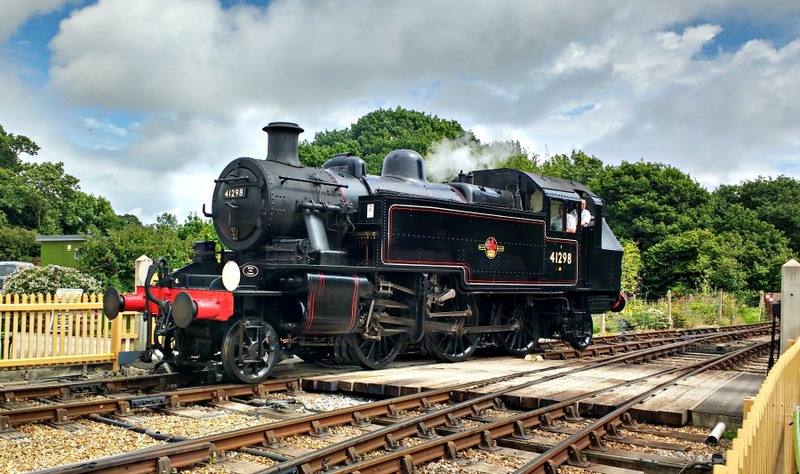 The Isle of Wight Steam Railway is a great day out for train mad toddlers. We parked at Wootton (free parking) and went on the steam train to Smallbrook, and then back to Havenstreet, where we played at the playground, went on the nature tail and had a picnic. At just over 20 minutes long, the Isle of Wight Steam Railway is perfect for toddlers who don’t like to sit still! There is also a Train Story exhibition at Havenstreet with loads of beautiful old locomotives and Victorian and Edwardian carriages to look at. Top Tip Free parking is also available at Havenstreet where there is a much larger car park which is particularly useful on busy event days. 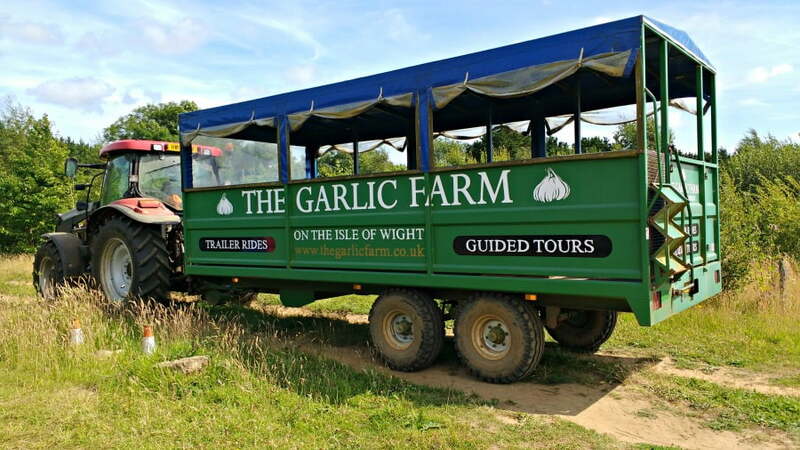 The Garlic Farm is a unique place to go on the Isle of Wight, where you can learn all about that little bulb which goes in so much of our cooking. There is a nature trail around the farm where, depending on the time of year, you can see people picking the garlic, a few animals, a great café and ice cream parlour. Where else can you have a black garlic ice cream? The Needles are 3 chalk stacks off the coast of the Isle of Wight, which are regularly voted one of the most beautiful places in the UK. 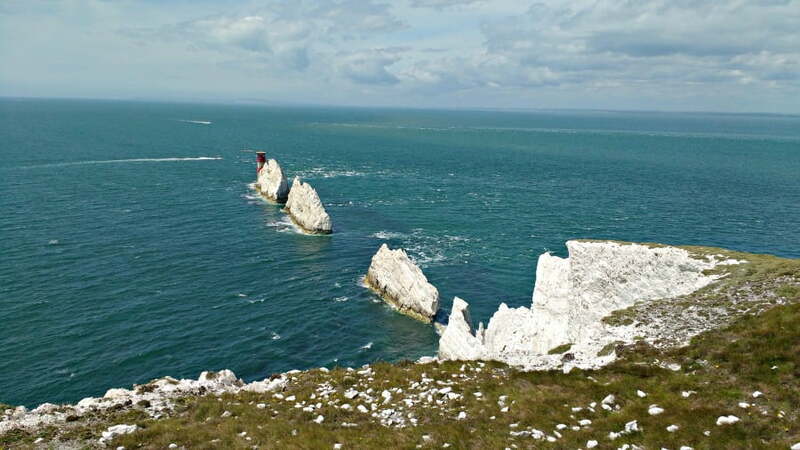 There are a few ways to see The Needles – ranging from a chair lift down to Alum Bay where you can take a boat trip to get closer to the Needles themselves. Or you can visit the National Trust’s Needles Old Battery and New Battery and find out more about the secret rocket testing which took place, and get the closest view of The Needles themselves. For both options you can park at the Alum Bay car park (£5 per day – change provided) where it is a short walk to The Needles chair lift and attractions or a ¾ mile cliff top walk to the Old and New Battery. Top Tip – The ¾ mile cliff top walk to the Old and New Battery at the Needles is paved and fine for buggies and balance bikes! You also get fantastic views across the Solent to Dorset. Godshill is touted as one of the most picturesque villages on the Isle of Wight with its quaint cottages with thatched roofs and tea rooms. 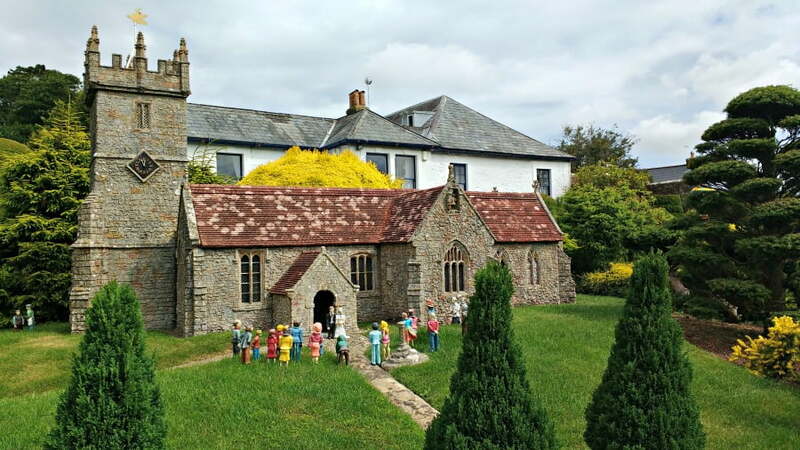 The main reason for visiting Godshill though is to go to the Model Village which is a 1/10th scale version of the village of Godshill and Shanklin Old Village and Chine. It takes about an hour to enjoy the model village and notice all the intricacies and detail of this mini Isle of Wight. One of the best bits is the replica railway with trains riding on the tracks moving dinosaurs and tigers! The garden is partnered with the RHS so it is beautifully manicured with a specialist collection of bonsai trees. 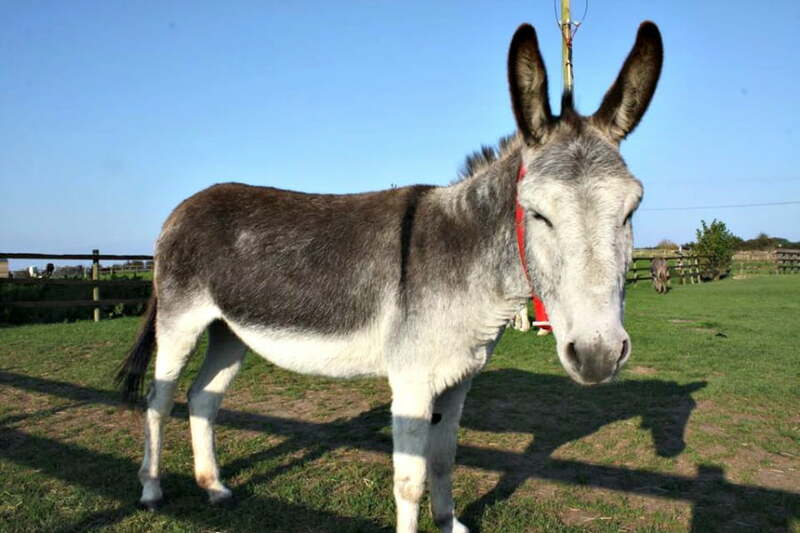 The Isle of Wight Donkey Sanctuary is home to over 100 donkeys, ponies and horses which are in need of a loving and caring home. Toddlers can meet the donkeys, and stroke them, and take part in additional activities such as taking them for a walk or brushing them. Cost – Free, but donations are welcome. Britain’s first purpose built dinosaur museum is great for a rainy day in the Isle of Wight. 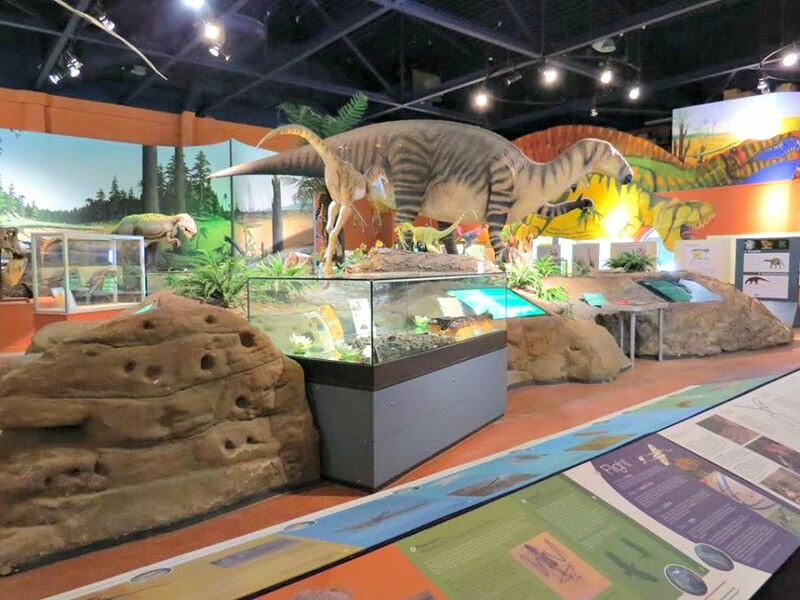 There are hands on dinosaur exhibits and fossils as well as special seasonal events such as fossil walks. Top Tip – Tesco Clubcard vouchers can be used here too. Costs – Adults £5, Children £4, Under 3’s are free. The Red Squirrel Trail is a traffic free cycling route stretching across the island, where you may be lucky enough to see one of the elusive red squirrels which live on the Isle of Wight. There aren’t any grey squirrels on the island, so red squirrels have been able to prosper and live quite happily. Although the Red Squirrel Trail is 23 miles long, there are plenty of places where you can join the trail to ride shorter distances as well as places where you can hire bikes along the way too. Click here for a map of the Red Squirrel Trail. The Pedallers Café is one of the only cafes situated on the actual trail where you can stop for a cuppa and a piece of cake. The Isle of Wight Zoo is built in the ruins of a Victorian Fort just outside the resort of Sandown. 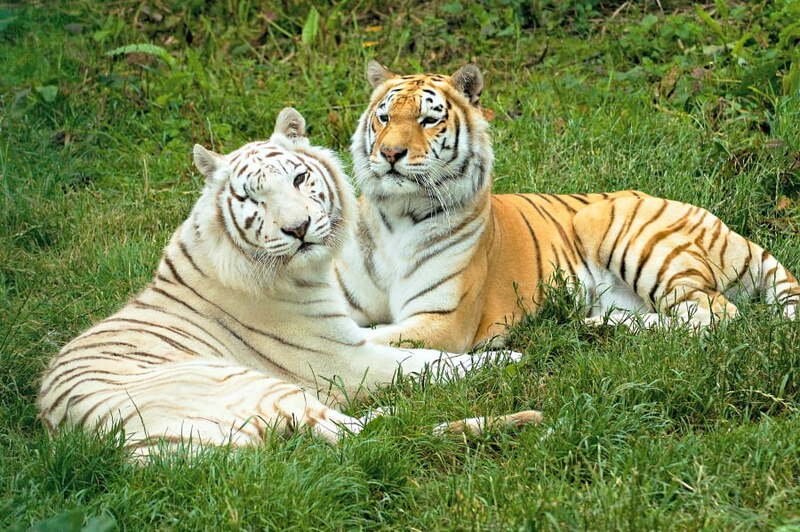 It has a special interest in tigers and lemurs so expect to see lots of those, as well as other big cats and monkeys. One of the main stars of the Zoo is Simi the rescue tiger! There is a programme of animal talks and child friendly animal encounters throughout the day which is included in your entrance ticket. 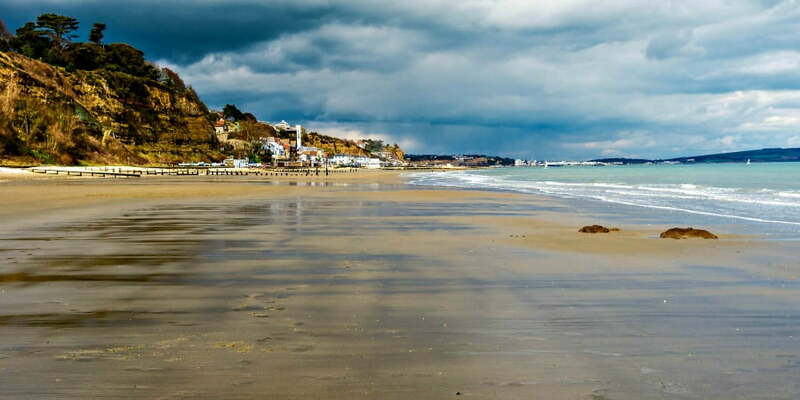 Shanklin is one of the most popular seaside resorts on the island and Shanklin Seafront is packed full of amusements, activities, soft plays, trampolining, bouncy castles and much more. It’s busy, full on and lots of fun. Shanklin Chine is a tree lined gorge which cuts from Shanklin Old Village down to the beach and seafront. During the war, Shanklin Chine was taken over and used as an assault course by the commandoes which were based at the Upper Chine School. 40 Royal Marine Commandos trained at the Chine in preparation for the Dieppe raid in 1942. There is a plague to their memory at the Chine. You can walk down the chine (lots of steps so not great for buggies) and see a waterfall, lots of birds and the views over Shanklin beach. At night, the Chine is illuminated with hundreds of lights which make it a really magical experience. 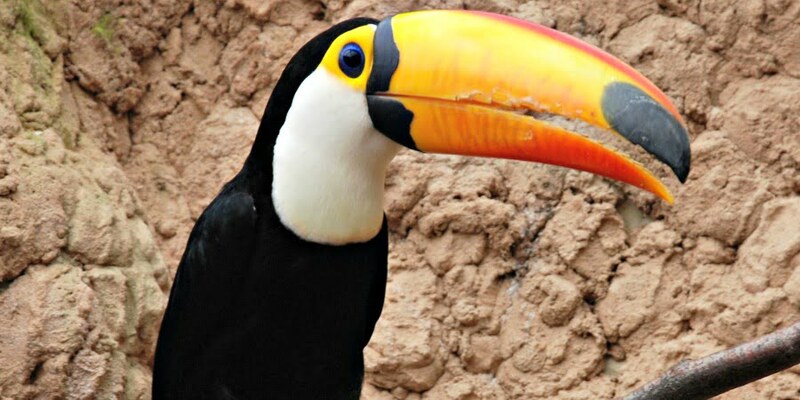 Amazon World isn’t just the home to tropical birds – there are over 1000 animals which live here as well as the island’s own lemur walkthrough. There are also hands on meeting experiences with meerkats, tapirs and armadillo and a wallaby walkthrough. There is also a playgroun. Costs – Adults £10.50, Children £8.50. You can return for free within a week if you keep hold of your ticket. Robin Hill Country Park is set in 88 acres of countryside, and is a full on day out on the Isle of Wight. 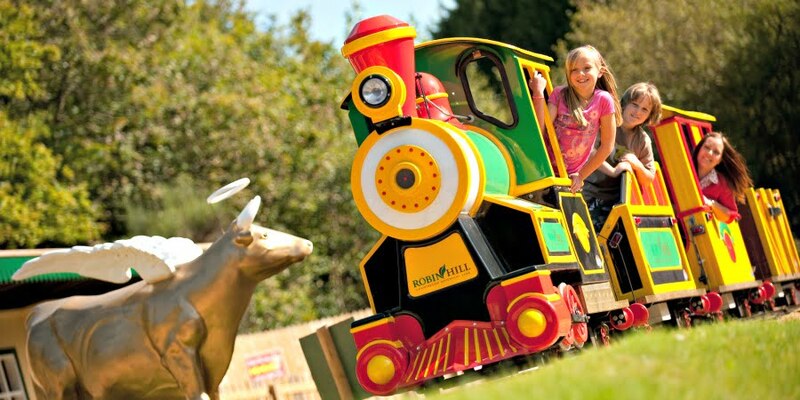 There is loads to for kids of all ages, but toddlers will love the Cows Express train, Falconry Shows, Squawk Birds, adventure playground and woodland gardens. Tractor lovers will love the Big Green Tractor Train which takes passengers for tours around the park. Ventnor is a rather up market town on the south side of the island. 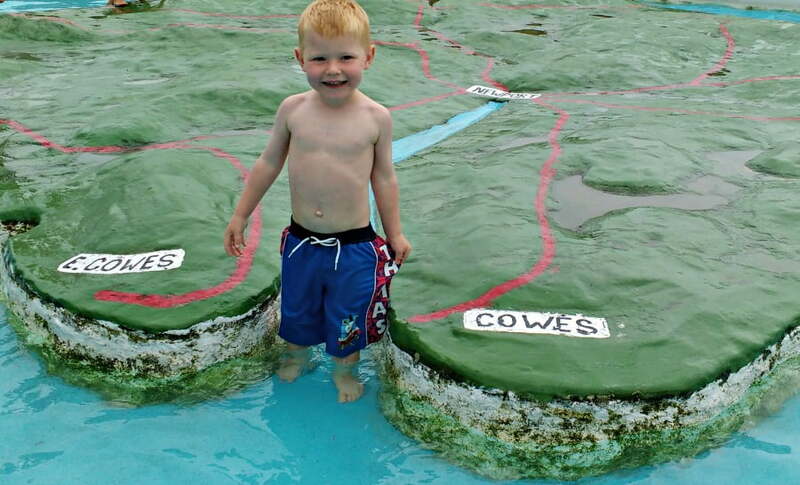 As well as the sand / shingle beach there is a free paddling pool in the shape of the Isle of Wight. When we were there, it was full of toddlers who were splashing and playing in the paddling pool while their parents watched. 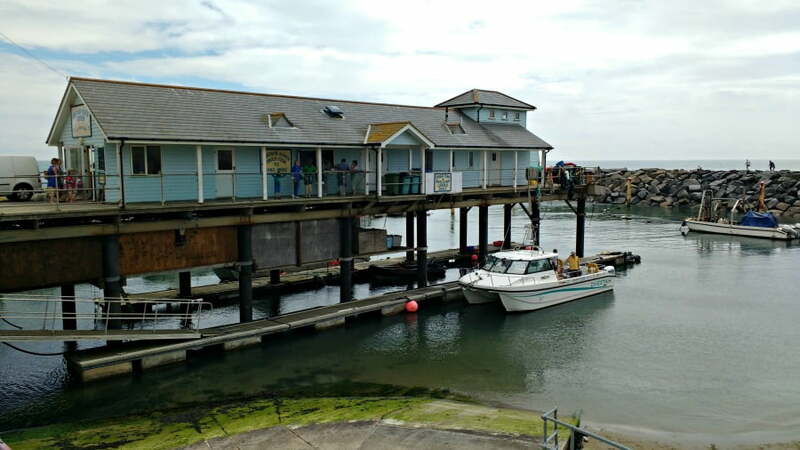 Top Tip – After you’ve been in the paddling pool, cross over the road and get some fresh fish and chips from the Ventnor Haven Fishery. This fish shop is on the pier and the fishing boat moors up below it to sell the fish it has just caught. It was some of the best fish we’ve ever eaten. 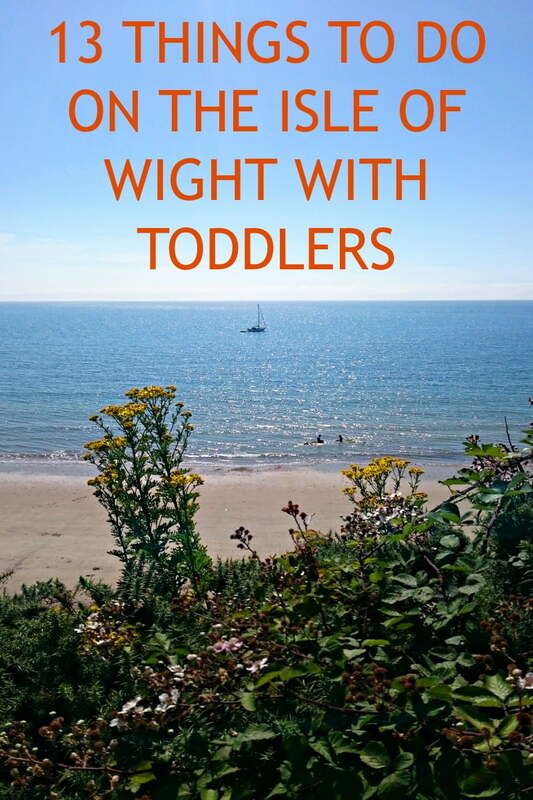 Have you got any tips about other things to do with toddlers in the Isle of Wight? If so, I’d love to hear about them in the comments below. We went based entirely on this article and did most of these things – we had a great time! Thanks very much. So pleased you had such a good time! These ideas are perfect for our holiday in June. Thank you very much.